Kubota, the globally renowned manufacturer of world-class oil and water-cooled diesel and dual fuel engines, has announced a new strategic partnership with engine and transmission specialists Mitchell Powersystems. The agreement, sealed today at IOG Saltex, will establish Mitchell Powersystems as the official National distributor of Kubota engines in Scotland. Mitchell Powersystems will provide Kubota’s current and future full range of oil and water cooled diesel and dual fuel engine solutions, along with delivering full customer care support services including the distribution of spare parts to regional engine dealers, Original Equipment Manufacturers (OEMs) and end user customers across a wide range of industry sectors in this key region. Founded in 1953, Mitchell Powersystems, part of the Turner Group of Companies, distributes and supports a number of premium engine brands for various applications including marine, industrial and transmissions for on and off-highway applications. The company is a one stop shop in the sale and service of engines, employing a team of highly skilled Workshop and Field Service Engineers, backed up by industry leading aftersales support. Daniel continued: “Mitchell Powersystems has earned an enviable reputation in the diesel powered equipment market, particularly in the 56kW to 2200kW industrial engines market. 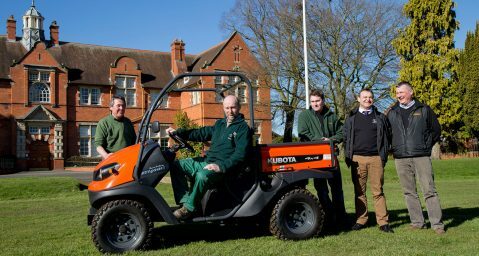 Kubota’s range of oil and water cooled diesel and dual fuel engines are renowned across the globe for their exceptional performance, low noise, cleaner emissions and excellent fuel economy. Used in a wide range of applications, its products feature either Diesel Oxidation Catalyst (DOC) technology or Diesel Particulate Filters (DPF) as an after-treatment solution and counter measures in reducing exhaust gas emissions. 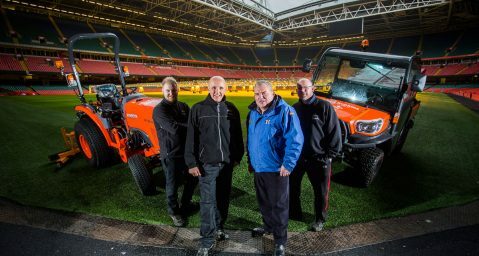 Allan Mitchell, General Manager for Mitchell Powersystems in Glasgow, said: “By working in partnership with Kubota it allows us to increase our product and service offering and apply our engines’ expertise into new market sectors. Jem Engines, Kubota’s previous engine dealer for Scotland will continue to represent the company under the guidance and support of Mitchell Powersystems. 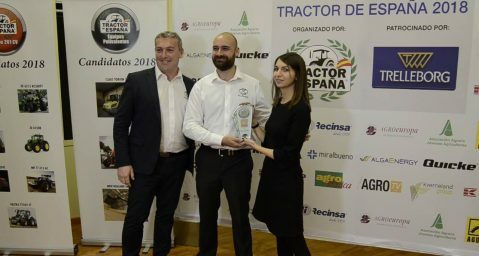 The awarded model was the M5101 Narrow Cabin Advance tractor, which was running for the ‘Special Tractor’ category.